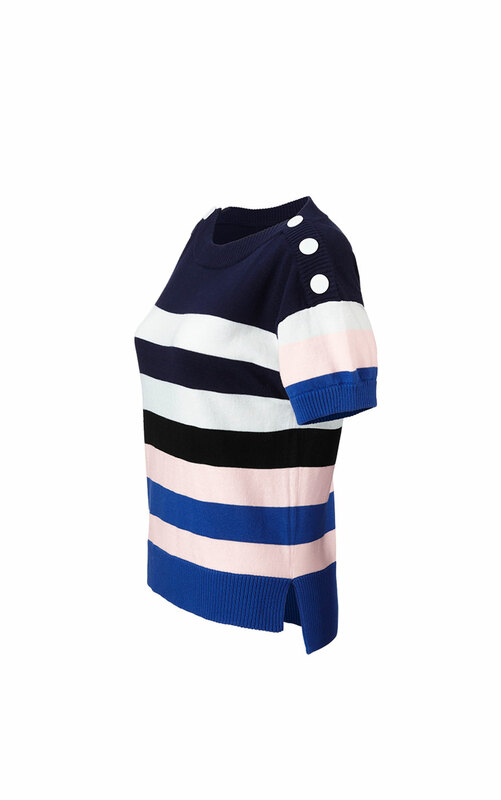 This colorful, lightweight knit sweater has bold stripes that make a nautical statement in a modern way. 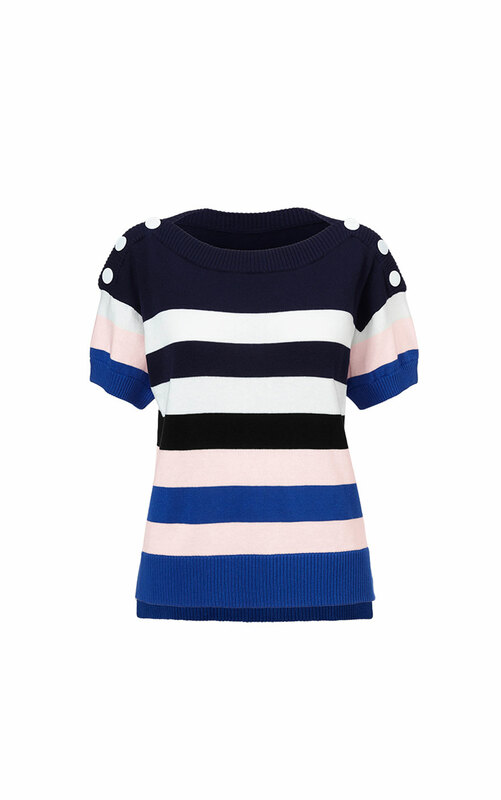 The Sailor Pullover has darling short sleeves with an unexpected bright blue, pale pink, navy, white, and black color palette. 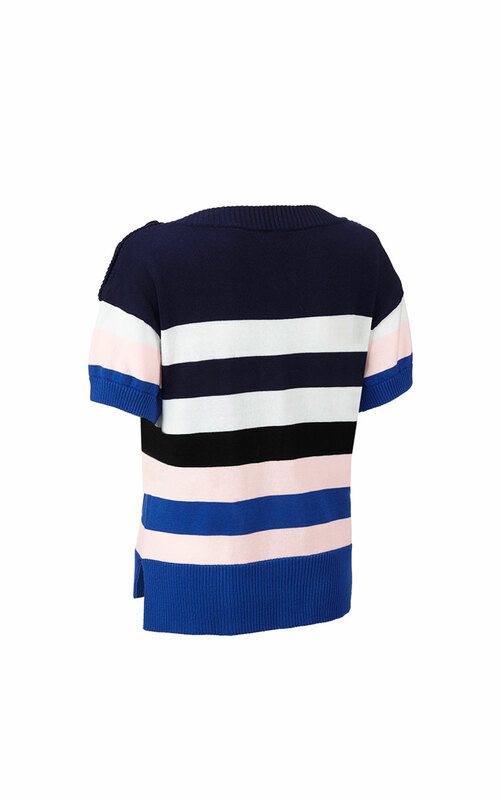 Loving the Sailor Pullover? Share how you’re wearing it on Instagram, and browse through all the inspired ensembles for fresh ideas.